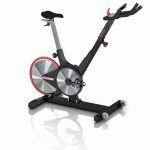 Press Read more Button to see video and see about the features and specification of the Keiser M3 bike. Keiser M3 Bike is engineered to match the needs of gym owners, riders and maintenance technicians alike. the m3 bike also features the durability and ease of maintenance needed to ensure longevity.